Today, I have Allison Stewart joining me as our guest! 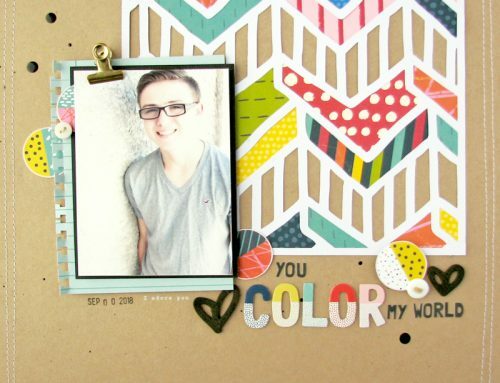 Allie has a great fun style and you will love what she did with this month's cut file! I also had a chance to play with this cut file, and used it as two large photo corners on my project. 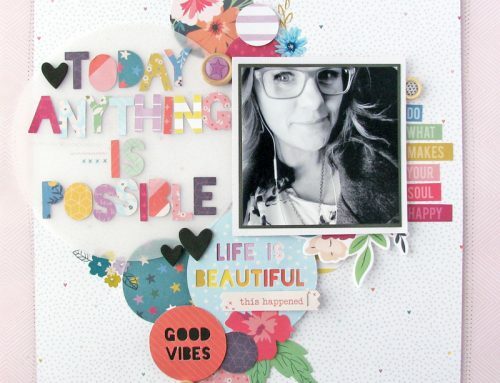 I couldn't resist filling in most of the diecut background with several bright and fun papers from Amy Tangerine! I just love how the diecuts bring all the patterns and colors together, without it being too much! 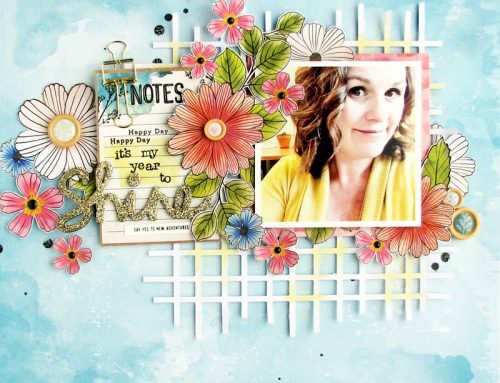 I kept the rest of the layout pretty simple, and just fussy cut some flowers and added a small amount of sequins and foam star Thickers around my photo. Have a great day and if you use this cut file be sure to tag us @sctmagazine! 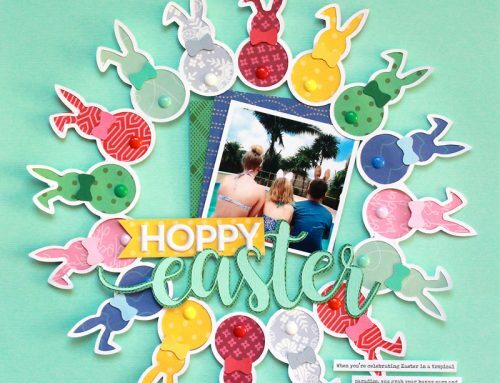 You can find more of Nicole's amazing cut files on her cut file site JustNick! Wow! at first glance, all I saw were eyeballs in triangle shapes, then to see the cut file used on those beautiful pages…double Wow-Wow! So feminine and versatile. I am so surprised at this one! Gorgeous pages and awesome cut file! Thank you! These are gorgeous pages! Thanks for the cut file Nicole! !